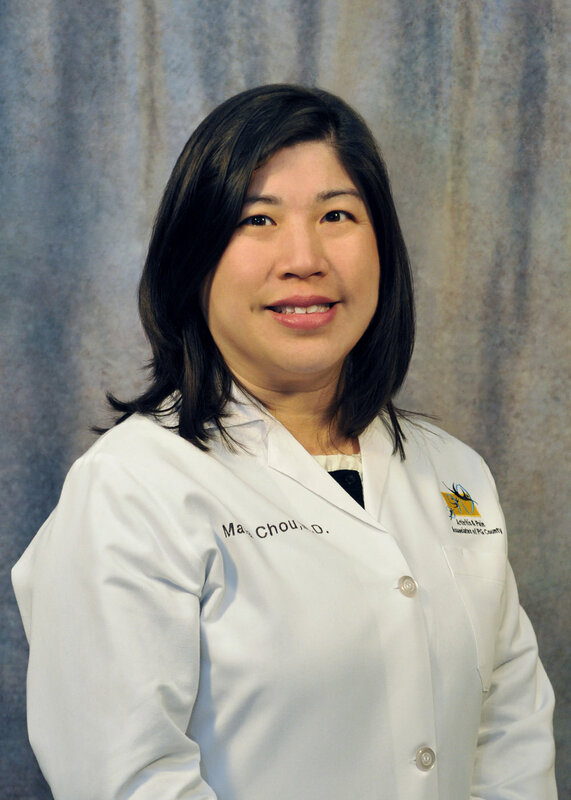 Dr. Chou joined our practice in November 2012. She maintains board certification in Internal Medicine and Rheumatology by the American Board of Internal Medicine. She completed her fellowship training, in Rheumatology at Georgetown University in 2004 and has been in private practice since that time, previously in Northern Virginia. She received her medical degree from New York Medical College in Valhalla, NY in 1999 and completed training in internal medicine at Loyola University Medical Center in Maywood, IL in 2002. She has had previous research experience in Rheumatology. Her work was presented at the American College of Rheumatology's national conference in San Antonio, TX and later published in the peer reviewed scientific journal, Chest. She has been recognized as one of America's Top Physicians by Consumers' Research Council of America and named as one of this area’s "Top Doctors" for Rheumatology in the Washingtonian Magazine and in Northern Virginia Magazine.